In our moment of ultimate defeat as a species, a spark has been kindled. Earlier this month in Dancing with Ulysses, I looked at the moments of realization being experienced by Greta Thunberg, Extinction Rebellion, and many people around the world, and how that had progressed, in only a short time, from shocked climate scientists, to weary diplomats in Paris, to the thin leading edge of a mass awakening of a billion minds to a shared apocalyptic vision. More than 30 years ago I first confronted that problem while compiling Climate in Crisis: The Greenhouse Effect and What You Can Do. Chapter 3 of that book, called “Runaway,” begins with the line, “The speed of the changes now underway holds a risk of greater magnitude than most people imagine possible.” It then described the Venus Effect, wherein humans traverse some unseen threshold and suddenly find themselves in Hothouse Earth, beyond the point of course corrections. 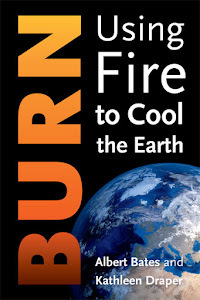 In my new book, BURN Using Fire to Cool the Earth, I tried to insert this illustration from Will Steffen and co-authors, but the publisher couldn’t find space and it got cut. It shows how we move from the Holocene equilibrium that allowed simple mammals to evolve into us, and dolphins and wolves, out of that zone and into a new, hotter equilibrium in which higher life-forms like dolphins, wolves, and humans are untenable. Stability landscape showing the pathway of the Earth System out of the Holocene and thus, out of the glacial–interglacial limit cycle to its present position in the hotter Anthropocene. The fork in the road is shown here as the two divergent pathways of the Earth System in the future (broken arrows). 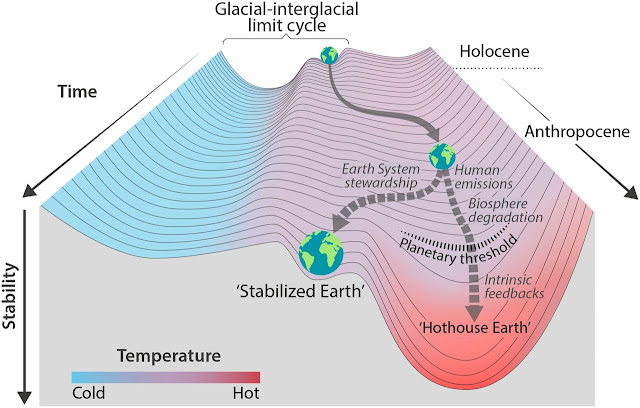 Currently, the Earth System is on a Hothouse Earth pathway driven by human emissions of greenhouse gases and biosphere degradation toward a planetary threshold at ∼2 °C beyond which the system follows an essentially irreversible pathway driven by intrinsic biogeophysical feedbacks. 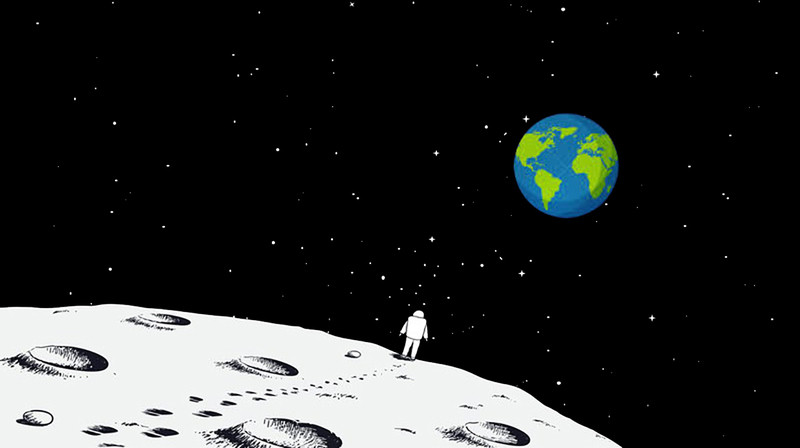 The other pathway leads to Stabilized Earth, a pathway of Earth System stewardship guided by human-created feedbacks to a quasistable, human-maintained basin of attraction. “Stability” (vertical axis) is defined here as the inverse of the potential energy of the system. Systems in a highly stable state (deep valley) have low potential energy, and considerable energy is required to move them out of this stable state. 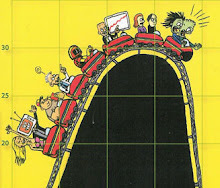 Systems in an unstable state (top of a hill) have high potential energy, and they require only a little additional energy to push them off the hill and down toward a valley of lower potential energy. 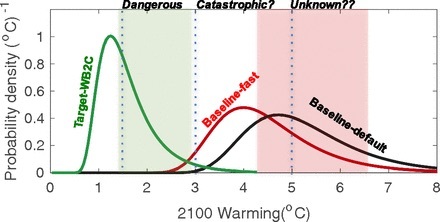 Most of the feedbacks can show both continuous responses and tipping point behavior in which the feedback process becomes self-perpetuating after a critical threshold is crossed.… A few of the changes associated with the feedbacks are reversible on short timeframes of 50–100 years (e.g., change in Arctic sea ice extent with a warming or cooling of the climate; Antarctic sea ice may be less reversible because of heat accumulation in the Southern Ocean), but most changes are largely irreversible on timeframes that matter to contemporary societies (e.g., loss of permafrost carbon). 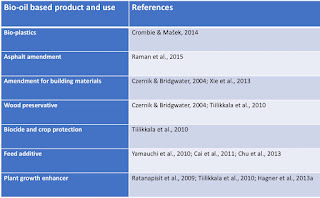 A few of the feedbacks do not have apparent thresholds (e.g., change in the land and ocean physiological carbon sinks, such as increasing carbon uptake due to the CO2 fertilization effect or decreasing uptake due to a decrease in rainfall). 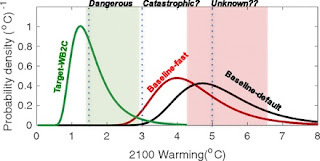 For some of the tipping elements, crossing the tipping point could trigger an abrupt, nonlinear response (e.g., conversion of large areas of the Amazon rainforest to a savanna or seasonally dry forest), while for others, crossing the tipping point would lead to a more gradual but self-perpetuating response (large-scale loss of permafrost). There could also be considerable lags after the crossing of a threshold, particularly for those tipping elements that involve the melting of large masses of ice. — Steffen, Will, Johan Rockström, Katherine Richardson, Timothy M. Lenton, Carl Folke, Diana Liverman, Colin P. Summerhayes et al. "Trajectories of the Earth System in the Anthropocene." Proceedings of the National Academy of Sciences 115, no. 33 (2018): 8252-8259. Between 2006 and 2007, while I was researching The Biochar Solution, I paid a call on Frank Michael and asked if he would mind running some maths for me. Frank was a fellow board member at the Global Village Institute for Appropriate Technology (gvix.org) and held a Master’s degree in physics. 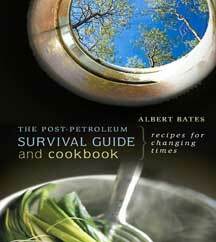 Before dropping out to join our Tennessee ecovillage, he had worked on NASA’s space shuttle program. I asked Frank how many trees it would take to reverse climate change. Most people in aerospace tend to think, after the fashion of Bill Gates or Elon Musk, that we can just tech our way out of any problem. The techocornucopian wizard crowd tends to be fans of geoengineering, imagining we will spread a layer of sunlight-reflective particulates in the stratosphere or across Greenland, or fertilize the oceans to grow massive plankton blooms. Serious studies of these schemes generally place them into two categories: impractical and expensive. To me, and also to Frank, they are absurdly reckless and dangerous. Harebrained would be a parsimonious adjective. The potential for unintended consequences is suicidally high. Knowing at how terra preta in combination with trees had altered the climate once before, following the Columbian Genocide, I knew there was a simpler path. We can rebuild Net Photosynthetic Productivity with trees and grasses. So I asked Frank, how many trees? And also, how much land? After much study, Frank and I co-authored a 2017 paper, Optimized Potentials for Soil Sequestration of Atmospheric Carbon, showing that a reversal of carbon dioxide and other greenhouse gases is feasible using a socially responsible, economically productive and ecologically restorative agroforestry system we called "Climate Ecoforestry." This system, if carried to the scale of 300 megahectares (about 1.2 million square miles, or tree-planting an area roughly the size of four Frances or five Spains) every year for the next 25 years, we could achieve the cumulative storage of 667 PgC (gigatons of carbon) required to bring atmospheric CO2 back to pre-industrial 250 ppm (parts per million). Were nations to collectively reduce fossil fuel emissions in line with the Paris Agreement, the reduction to 250 ppm could be achieved by year 37. In all cases, carbon would be stored in the world's soils and living biomass and could provide many additional benefits beyond sequestration. One key point in the calculation was that we had to take into account the oceans' CO2 outgassing feedback because that is where the majority of the industrial legacy has been absorbed and as the air gets cleaner, the oceans are going to give some of that back. In order to remove a ton of CO2 from the atmosphere, and keep it out, you need to remove about 3.7 tons of carbon from the ocean at the same time. Photosynthesis can do all that, as long as you continuously harvest and set that carbon aside. Otherwise, it just goes back into the cycle. Frank developed a plan he called step-harvest that works equally well for forests and grasslands. Each year the land under management is low-grade harvested or manured through rotational grazing (using a virtuous cycle for standing timber and pastureland) and after extraction of foods, fuels, fibers, and other useful commodities, carbonaceous wastes are pyrolyzed, rendering them as omni-useful biochar that takes a timeout from the atmospheric/oceanic carbon cycle for anywhere from one thousand to 100 million years. Is there enough land for all that conversion to field and forest? Frank and I spent a lot of time researching that point. Four Frances or five Spains. Per year? Well, it turns out, we do have that much, sitting at the margins, wrecked by bad land use practices, being slowly desertified by climate change, or otherwise neglected and abandoned. Human agriculture as it was practiced from the time of Sumer was extractive and exploitative, using irrigation and the plow. Cut down the trees and then mine the soils until nothing fertile remains, move on, rinse, repeat. Add in the Haber Bosch process and chemical herbicides and pesticides and you can grow something resembling food in sterile soil for a few extra years the same way you can in a flask in a laboratory, but it will have about the same flavor and nutrient density. I would not feed that to my kid, would you? 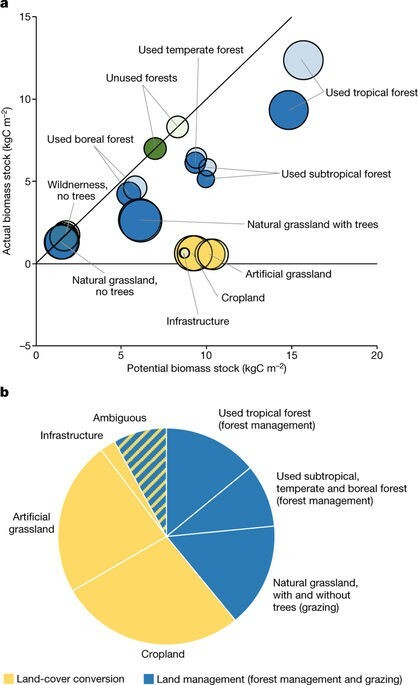 Scientists have estimated that the amount of underused land immediately available for ecological restoration is at least 1.5 Gha (1.5 billion hectares or 30 Spains) worldwide [Smith et al. 2012]. That gives a 5-year start on climate ecoforestry at full scale and gets you to the step-harvest stage, although naturally, the ramp-up would proceed gradually. 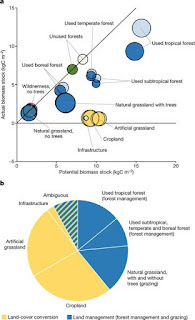 We are hopeful that once the causes and effects of climate change, and the eco-agroforestry benefits and increased soil productivity, become better known, large numbers of people will mobilize and allow parts of their landholdings to convert, and over a few decades that could reach the required 4.8 Gha needed, by our estimate, to restore pre-industrial equilibrium. But time marches on and this week my Swiss research colleague, Hans-Peter Schmidt, provided a spectacular webinar for the International Biochar Initiative that reviewed a number of his recent publications and some still in progress. He was able to reduce the land required to be used for climate regeneration by a third to a half. The significance was underscored in a meeting I attended a day later by the advisory and supervisory boards of the Ecosystem Restoration Camp movement. ERC envisions 1 million people engaged in ecosystem regeneration camps within a decade. The first is already running in Spain and another 70 around the world are anticipated to launch. The IBI also has a big number goal — one billion tons of biochar produced per year within 50 years. The two numbers go very well together. And yet, they are not nearly enough. We will all need to raise ambition. Li, Qi, et al. "Toward the Application of High Frequency Electromagnetic Wave Absorption by Carbon Nanostructures." Advanced Science (2019): 1801057. We should challenge some commonly-held ideas about biofuels, bioenergy and energy cropping, particularly that energy crops pose an inherent threat to ecosystems. Certain energy crops (like oil palm for biodiesel or eucalyptus for fuel pellets) are evil and kill Orangutans. 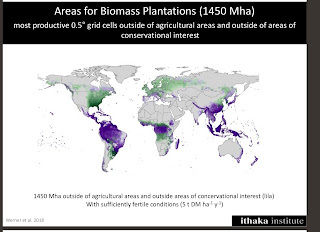 But what about using energy crops to strategically enhance ecosystem functions and build regional bioeconomies? What about cascading functions so that the same energy crop makes leaf protein extracts, animal feed, fish feed, furniture, and musical instruments before it is carbonized for electricity and biochar? Choosing appropriate practices and policies requires an understanding of how soils, climate, farm types, infrastructure, markets, and social organization can stimulate a regenerative, circular economy. In this moment of crisis, we are blessed with emerging technologies, cognitive sciences and holistic management practices that open previously undisturbed system dynamics to our thoughtful, meticulous, deliberate consideration. There is a lot of banter about climate finance and most of that is just referring to tax schemes and government pay-outs, which is a questionable and inefficient way to go about it. So is the notion of trying to assign a monetary value to ecosystem services. Sian Sullivan, in The Environmentality of ‘Earth Incorporated, argued that the “intrinsic fallacy at the heart” of ecosystem services market initiatives is that they attempt to incentivize environmentally ethical behavior. She maintains that the market does not produce “virtuous behavior” and that it is essentially naïve to take the view that if only we design them correctly we can halt or reverse ecosystem degradation. 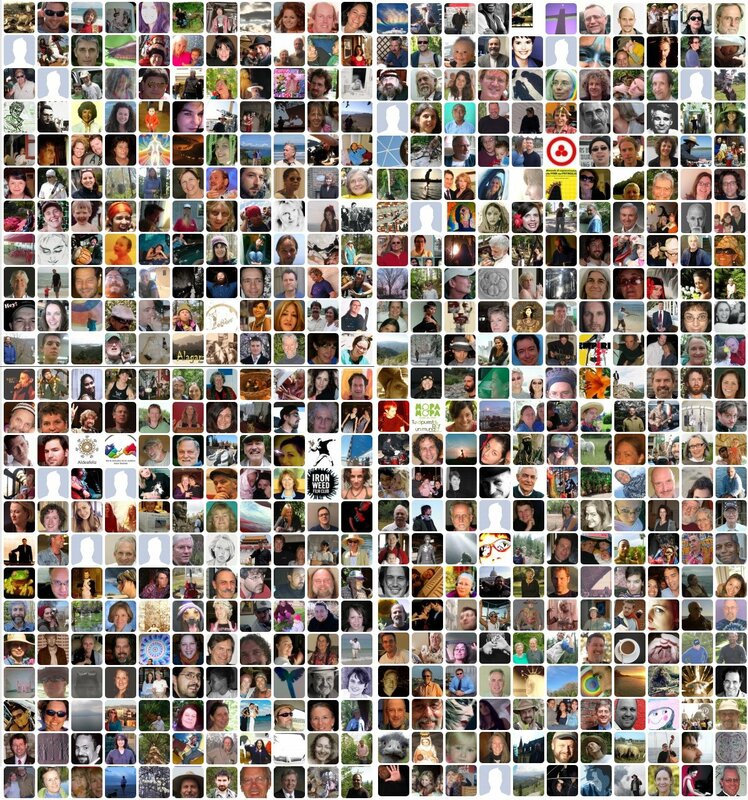 Another danger of these market initiatives is that they promote the “valuing of nature as money,” and do not acknowledge “nature’s immanence or sentience,” or the reality that humans are merely one of many “companions” in nature’s community, which is a key “instruction” known and honored by sustainable human societies for hundreds of millennia before we somehow mislaid that instruction manual. John Fullerton of the Capital Institute asks, “Is it an either-or proposition? Are there ways that we can design these markets to enable the “virtuous behavior” we seek to encourage in market participants? Hans-Peter Schmidt, who doesn’t like to use terms like impact investing, has a way that could work. His idea is to repair the carbon trading system’s corruption by leasing the service of carbon removal on an annual basis, subject to strict verification. Under the UNCDD’s No Net Degradation standard, ratified into international law a few years ago, lands that are steadily degrading would need to purchase more of these sorts of carbon service leases while those that are steady being regenerated as carbon stores, such as those under care of Ecosystem Restoration Camps, would earn a steady revenue from the leases, one that presumedly appreciates every year. 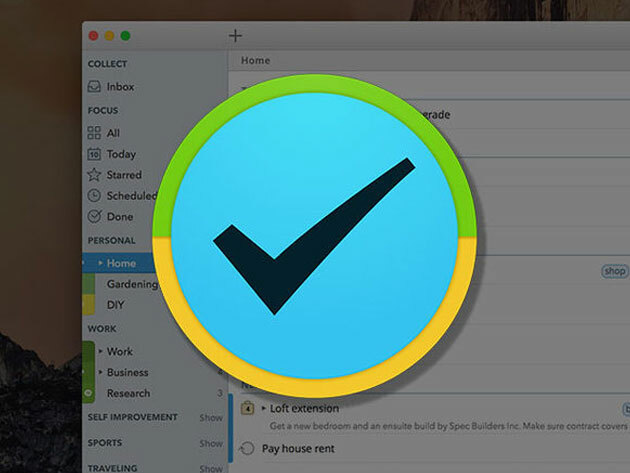 Investors are happy, purchases are verifiable, and more camps can be built. When Frank and I stepped back from the Net Photosynthetic Productivity question — those physics are settled — and examined the social side of the equation, we came full circle to bioregionalism and the hyperlocal biomaterials economy, Transition Towns, and the Global Ecovillage Network. They sum the 100 drawdown technologies with the 17 Sustainable Development Goals. Two plus Two equals Five. This strategy does not absolve us of the need to reduce the ecological footprint of human civilization, something we will be doing anyway because of Peak Everything. Holding to the 2 degree goal requires us to embark immediately upon the IPCC’s 7-percent glide path, halving emissions from all sources every decade. It will involve a vast, worldwide change to fossil fuel-free production that prizes handcrafted wooden buildings and objects, durable and simple design, ease of repair and material conservation. This is not like upgrading your computer to the next version of your present operating system. It is more like switching to a completely new operating system. It will take some time to learn. In our moment of ultimate defeat as a species, a spark has been kindled. All we need do now is lean in and fan that flame. "We have, through accident or design, structured the human ecology into a zero sum game, where a few in lucky positions can succeed by beggaring their many neighbors." David Ross was an industry shill suing EPA and state agencies for 14 years before moving into state government in Wyoming and Wisconsin where his main achievements were to roll back state powers to protect water from fracking wells, claiming federal pre-emption, while at the same time suing EPA to prevent enforcement of clean water laws. So, naturally, he was recruited by President Trump and EPA director Scott Pruitt and put in charge of water protection for the whole country. Since his arrival, EPA has been dithering on whether to protect drinking water from unregulated industrial chemicals known as per- and polyfluoroalkyl substances (PFAS). Meanwhile, government scientists have found that the compounds are more widespread in drinking water than thought. PFAS chemicals are widely used to make nonstick and water-proof products, including foams used to fight fires. Two of the most common forms — perfluorooctanoic acid (PFOA) and perfluorooctane sulfonate (PFOS) — are no longer made in the United States, but in some cases have been replaced by related chemicals and there are plenty of the older pots, pans and spatulas still in circulation. Being plastic, once in the environment they don’t go away. While many communities have been pushing officials to test water supplies in order to document the extent of any contamination, EPA now has a fox watching over the henhouse. 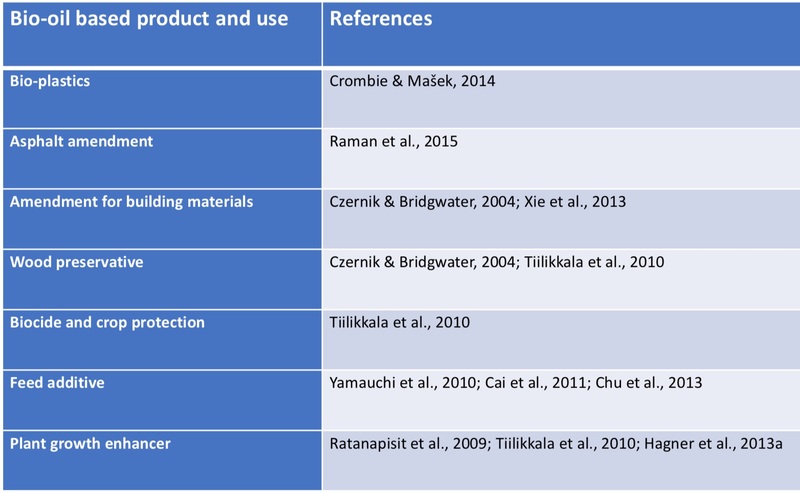 In 2018, a study by career scientists at EPA and the United States Geological Survey described surveys of PFAS contamination in source and treated water from 25 drinking water treatment plants across the United States. When the concentrations in the treated drinking water are compared to the existing EPA water health “advisory” threshold of 70 ng/L for each chemical or their sum, only one facility exceeded the threshold, but all 50 drinking water samples tested positive. The stakes surrounding studies of PFAS prevalence, concentrations, and human health impacts are immense. Stricter standards could force U.S. drinking water suppliers to spend hundreds of billions of dollars to remove the chemicals. And they could require those who used the chemicals — including industrial facilities, firefighters, and the U.S. military — to pay for cleanups and potentially even damages for people who can show their health was harmed by the substances. Nonstick pans are a wonderful invention, saving cooking oil, preserving essential flavors in ingredients, and easing the chores of dishwashers. It is small wonder that nonstick pans are now 90 percent of the aluminum pan market. But wait a moment. Think about this. The reason that foods don’t stick to nonstick is fluoropolymers. Sure they are convenient, but at the end of the day there is no free lunch. At 500 degrees F (260 degrees C) fluoropolymers split into smaller plastic fragments. The coating begins to break down, and toxic particles and gases, some of them carcinogenic, are released. It is sometimes possible to see when this has happened because the surface degrades, losing its characteristic smoothness and making it more difficult to clean. But even before that happens, the polymers can break down at the molecular level, and you wouldn’t necessarily see the damage. At slightly higher temperatures — 660 degrees F and above — coatings give off invisible fumes strong enough to cause polymer-fume fever, a flu-like condition indicated by chills, headache, and fever. The best known non-stick plastic is Teflon, found in heat-resistant, low-friction coatings, such as nonstick surfaces for frying pans, plumber’s tape, and water slides. It was discovered during World War II as a secret part of the Manhattan Project’s process to refine uranium for the first atomic bomb. At 680 degrees F (360°C), Teflon releases at least six toxic gases, including two carcinogens. ● Never preheat an empty pan. Each of the three empty nonstick pans we heated on high reached temperatures above 500 degrees F in less than five minutes — and the cheapest, most lightweight pan got there in under two minutes. Even pans with oil in them can be problematic; our cheapest pan zoomed to more than 500 degrees F in two and a half minutes. ● Don’t cook on high heat. Most nonstick manufacturers, including DuPont, now advise consumers not to go above medium. To play it safe, set your knob to medium or low and don’t place your nonstick cookware over so-called power burners (anything above 12,000 BTUs on a gas stove or 2,400 watts on an electric range); those burners, seen more often in recent years, are intended for tasks such as boiling a large pot of water quickly. ● Ventilate your kitchen. When cooking, turn on the exhaust fan to help clear away any fumes. ● Don’t broil or sear meats. Those techniques require temperatures above what nonstick can usually handle. ● Choose a heavier nonstick pan. Lightweight pans generally heat up fastest, so invest in heavier-weight cookware — it’s worth the extra money. ● Avoid chipping or damaging the pan. To prevent scratching, use wooden spoons to stir food, avoid steel wool, and don’t stack these pans. (If you do, put a paper towel liner between them.) How long can you expect your nonstick cookware to last? DuPont’s estimate, based on moderate usage, is three to five years. Some experts advise replacing your nonstick cookware every couple of years. What should you do if the pan does become damaged? A clear answer: Throw it out. 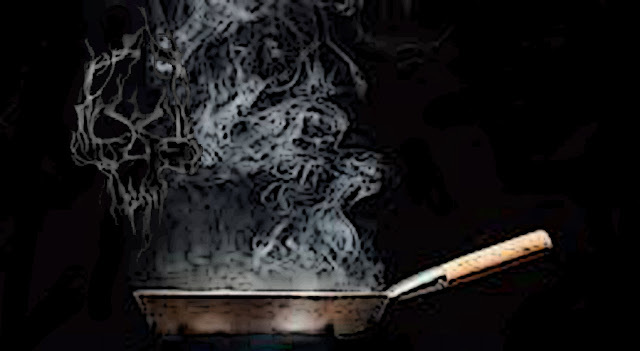 Another danger of nonstick pans comes from the chemical used to manufacture the fluoropolymers, PFOA, which is associated with tumors and developmental problems. After paying $343 million to settle a lawsuit in 2004, DuPont agreed to phase out PFOA, and did by 2015, but many older pans may still have the coating. PFOA is still on the market, however, in microwave-popcorn bags, fast-food packaging, shampoo, carpeting, and clothing. Studies show that most of us have PFOA in our bloodstreams, and babies show trace amounts at birth. Those yoga pants you love may be killing you. We would like to think that somewhere in government there is a federal agency watching out for our health and protecting us from products like these, but at the moment, that agency seems to have been acquired by hostile takeover, and is now bent upon protecting industry profits, heedless of the public health costs down the road, or the health of all the many non-human creatures now absorbing PFOA from the environment. We have, through accident or design, structured the human ecology into a zero sum game, where a few in lucky positions can succeed by beggaring their many neighbors. This game has no good ending, as we have learned by playing it over and over for millennia now. We can, by better design, structure human ecology into a win-win-win game, where not only ourselves and our neighbors benefit with each roll of the dice, but so too does the previously ignored architecture of Earth’s biology. We can redesign our losing economic system to benefit all parts, the way Mother Nature does. After all, we invented this thing we call economics (although Hazel Henderson says it’s really just thinly-guised politics masquerading as an academic discipline). We can reinvent civilization, bringing new and better minds to the task. We can replace Pharaonic memes with a distributed ledgers, assigning value grounded in ecological restoration and sustainable development achievements. A regenerative culture is wise enough to leave in place to later generations a natural world that is more resilient, more capable of meeting the cascading demands of its uncertain future, and better able to repair damage recklessly done. First, let us get rid ourselves of the idiots who shill for polluters, and their Pharoahs, and then let us set about the real work at hand. We can do without the non-stick cancer-causers. This is a sticky meme. 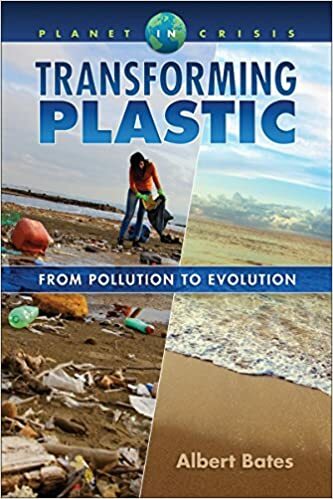 Portions of this essay were drawn from the forthcoming book, Transforming Plastic: From Pollution to Evolution. 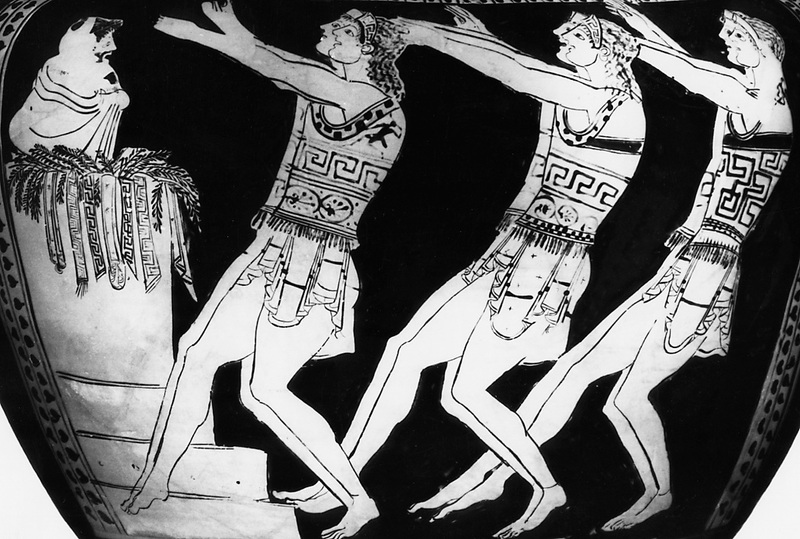 "For hundreds of years, stories of marauding Sea Peoples were told to frighten children." Back in 2250 BCE, Sargon of Akkad found the grain farming good in the broad, flat alluvial valley between the Tigris and Euphrates Rivers. Being an accomplished bully and not fond of toiling in the heat of the sun himself, he assembled a gang of thugs and enslaved weaker people to work for him. They built vast irrigation systems, knocked down forests and opened up much of the fertile Mesopotamian Plain to oxen and wooden plows. With good soil, good seed and adequate rain, his tribe prospered and applied their surplus to erect a number of market cities that were considered quite grand for the period. You can’t just knock down forests and dig long irrigation ditches and expect Nature to let you off scot-free, however. The plowing opened the soil to the sun and killed the rich microbial life built by those erstwhile forests. Irrigation made the fields salted and addicted. Major lakes silted. Without the trees and their fungal network, the weather changed. It stopped raining. After a mere 130 years of prosperity, the Akkadian empire collapsed abruptly in the 22d Century BCE. There was general abandonment of agriculture, dramatic influxes of refugees, and widespread famine. The same calamity befell much of the rest of the region. Poorer tribes flocked to wealthy Akkad seeking help. A few thousand years later another serious drought struck that part of the world — much of it within what is now Syria and Palestine — and by this time the population was much larger than back in Sargon’s day. The first wave of these “Sea Peoples” washed over Egypt in the second year of Ramesses II, 1276 BCE, but rather than build tent cities to house them, the Pharaoh simply trapped and slaughtered some 6000 people arriving in boats with all their goods, and then sent his chariots to drive stragglers back into the sea. A bit of a blowhard, Ramesses claimed a great victory and had the story inscribed in stone and read on ceremonial days. 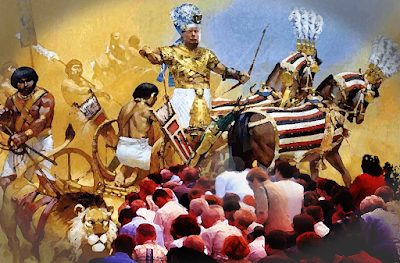 “If they would just report to processing centers they could apply for asylum,” Ramesses III might have said. But secretly he set ambushes all along the border and made especially effective use of his archers, positioning them along the shoreline to rain down arrows on approaching ships. Once the ships’ passengers were dead or drowning the vessels were set on fire with flaming arrows so that not even children could escape. Then Ramesses III turned his archers toward any survivors who made it to land. Egyptian records again detail a glorious victory in which many of the Sea Peoples were slain and others taken captive or pressed into the Egyptian army and navy or sold as slaves. For hundreds of years, stories of marauding Sea Peoples were told to frighten children. Ramesses’s border defenses were so expensive they drained the Royal Treasury. This led to the first labor strike in recorded history. The unpaid workers and government contractors shut down the government, demanding to be paid. Century-long droughts can be found at many points in the historical record. California experienced a 240-year-long drought that started in 850 CE and, 50 years after the conclusion of that one, another that stretched at least 180 years. Mexico experienced an abrupt climate shift between 800 to 1000 CE that brought dry conditions to the central Yucatan for 200 years, curtailing the era of monumental Mayan architecture. Lowland population densities plunged from 200 persons/km2 at the peak of the Late Classic period to less than half that by 900 CE. City complexes of more than 50,000 people, like Tikal, were abandoned to the rats and weeds. Challenged by unprecedented environmental stresses, cultures can shift to lower subsistence levels by reducing social complexity, abandoning urban centers, and reorganizing systems of supply and production, as the Maya, Akkadians, Romans, Tiwanaku, Mochica, Athenians and many others have done, but more often — and even in those cases — they failed to recognize what was happening until it was too late to escape unscathed. They waved their arms, followed militant leaders, found convenient scapegoats, increased debt, took to the streets in protest, overtaxed their most vital resources, and kept trying to grow their way out as if growth was the only solution they could imagine. Last year, speaking at Wells College, I concluded by saying, “As a global culture, we can create social norms that would permit us to sustain healthy economies and ecologies into the turbulent climate future we cannot now avoid. 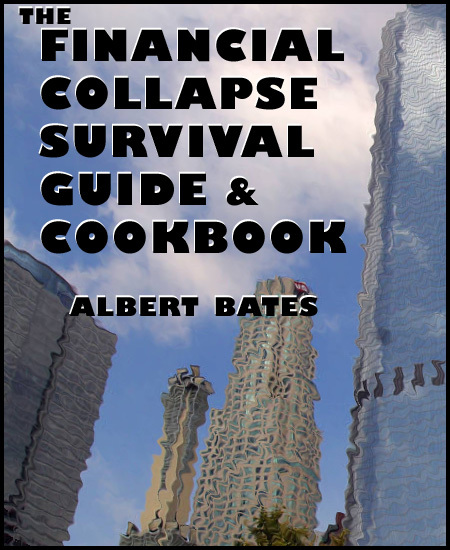 There are neither technological nor resource barriers to prevent that outcome.” There are, however, biological limits, including the psychology of sunk investments. Originally published at www.patreon.com. Thanks for reading! If you liked this story, please consider sharing it around. Our open banjo case for your spare change is at Patreon or Paypal.